If you would like to discuss your donation to Step Up Suncoast, please call 941-554-7021. Thank you for supporting Step Up Suncoast. By choosing to make your gift using our secure website, you save time, postage, and paper. If you have any questions, please call the Development Office at 941-554-7021. The first step is to advise Step Up Suncoast of the gift by calling the Development office at 941-554-7021. Please be prepared to give the number of shares and the identification of the stock. You or your broker may call with the pertinent information. To ensure efficient and accurate processing of the gift, it is important to communicate the information listed above with the Development Office in advance. This gift pays you income. This is a life income gift that not only supports the mission of Step Up Suncoast, it also pays you a guaranteed fixed income for life. These types of gifts are generally simple to set up and do not require a large amount of investment. Upon your passing, the remainder continues to support the mission of Step Up Suncoast. This gift pays you income. 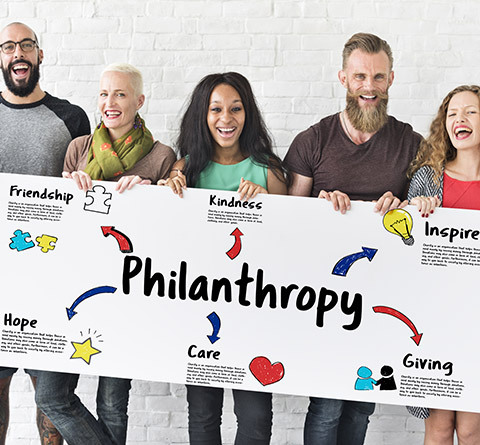 A Charitable Remainder Trust (CRT) is a life income gift that pays income to you and or your other beneficiaries for a term of years or until your passing. When the trust terminates, Step Up Suncoast receives the remainder of the trust. A Charitable Lead Trust (CLT) is a gift that makes annual contributions to Step Up Suncoast for a term of years. The property then passes to your heirs with substantial tax savings. You can safeguard your estate for your heirs while you support Step Up Suncoast. Some people believe that giving to charitable institutions through their will is only for the extremely wealthy. However, for every large, well-publicized charitable bequest, there are countless smaller ones arranged by people of all means, in all walks of life. Giving through your will can be an easy way to continue to support the programs and services at Step Up Suncoast. Step Up Suncoast may be named as the owner and or beneficiary of an existing or new life insurance policy. Instead of contributing cash to Step Up Suncoast, in-kind goods and services are also very valuable and necessary to keep the programs and services moving forward. For a list of needs, please contact Jill Gass, Director of Development at 941-554-7021 or email for more details.